“The next evolutionary step for Zappos is going to be about bringing our service to life in new and experimental ways. We want to mix what we know about service with what Caesars Entertainment knows about putting on an amazing show. Zappos Theater will let us create fun, a little weirdness, and an opportunity to WOW people through rocking out,” said Tyler Williams, Fungineer at Zappos. “Partnering with a company that is not only known for their world-class customer service, but is also a Las Vegas-based company, shows our customers the level of dedication the theater has committed to delivering an exceptional music experience and A-list entertainment, solidifying the venue’s reputation as the city’s premier live music destination,” said Jason Gastwirth, president of entertainment for Caesars Entertainment. The partnership will allow Zappos to show its Core Values and Culture in new and unexpected ways, while remaining obsessed with the customer experience both on and off line. The customer service company that just happens to sell shoes, clothing and accessories will take the concertgoer’s customer journey to new heights in the entertainment world. With surprise and delight moments sure to excite guests throughout the venue, the collaboration between the two companies will bring an enhanced show experience in both companies’ hometown of Las Vegas, while making memorable experiences to elevate the entertainment experience. 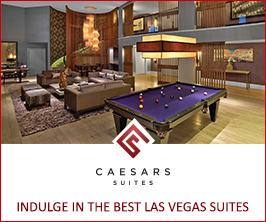 With a number of awards to its name, as well as some of the most successful headlining residencies in Las Vegas, Caesars Entertainment has truly been a pioneer in Las Vegas entertainment, which is now the primary driver of visitation to the city. Credited with revitalizing and changing the Las Vegas entertainment landscape when The Colosseum opened with its first headliner, Céline Dion, in 2003, Caesars once again ushered in a new era of entertainment in Las Vegas and in 2013 brought in a new kind of pop music headliner when it introduced Britney Spears to the market at The AXIS at Planet Hollywood Resort & Casino. Caesars Entertainment, in partnership with Live Nation, quickly followed up with this first contemporary superstar resident in the city by further revitalizing the modern era of entertainment in Las Vegas in Planet Hollywood’s world-class theater with residencies from Jennifer Lopez, Backstreet Boys, Lionel Richie and Pitbull. 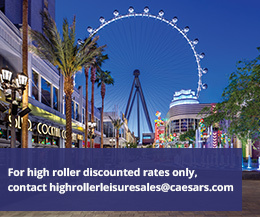 The reinvention of the residency model for a younger audience as the average age of visitors to Las Vegas drastically declines is indicative of Caesars Entertainment’s prowess as an entertainment innovator. Since 2013, this venue has been known as the epicenter of A-list entertainment in Las Vegas. From an all-star list of celebrity concert-goers to record-breaking headlining residency shows featuring today’s top acts, supported by the venue’s exclusive booking partner and largest concert promoter in the world, Live Nation. While world-class content and the venue’s unique size and configuration set it apart, amenity and guest experience further distinguish Zappos Theater from other venues in Las Vegas. With a nod to the growing importance of nightlife to the Las Vegas visitor experience, Zappos Theater creates the first true nexus of nightlife and live entertainment both in its design and service model. The theater features an innovative dance floor and VIP table seating concept that allows guests a one-of-a-kind concert experience that is made even more exceptional by the nightlife-oriented service provided by Drai’s Management Group. Zappos Theater is known for its impressive acoustics and unobstructed views with one of the widest proscenium openings in the United States. The theater boasts one of the largest video and projection installations in the world. The projections come from 60 ultra high-definition projectors that cover more than 200 degrees of the audience chamber. The walls of the audience chamber are wrapped in custom fabric designed to optimize the impact of the video content which will carry over into the stage area with 2,200 square feet of high-definition 10 millimeter LED walls that can be reconfigured to meet the needs of various productions. In addition to an immersive visual experience, a groundbreaking D&B sound system with more than 100,000 Watts of power provide the crispest highs, life-like vocals and earth-shaking bass performances. A massive array of 21-inch subwoofers ensures guests feel the music as well as they hear it. With its unique meld of nightlife-inspired amenities coupled with world-class live entertainment content, Zappos Theater is a premier performance destination in Las Vegas. For more information on Zappos Theater at Planet Hollywood Resort & Casino, visit ZapposTheater.com. Celebrating 10 years, Planet Hollywood Resort & Casino is the centerpiece of the famed Las Vegas Strip, with 2,500 beautifully redesigned guest rooms and suites showcasing some of the best views in town, along with endless options of unparalleled shopping, distinguished dining, popular entertainment and a bustling nightlife. A bright, bold addition to the resort’s portfolio, the new Ultra Hip Rooms feature contemporary elegance and luxury bedding. Known as the place to play for its roster of A-list celebrity guests, Planet Hollywood’s 231 newly restyled suites feature stunning views of the glittering skyline and daring décor elements such as suspended sofas, lounge-style living spaces and oversized modern artwork. The resort encompasses more than 100,000 square-feet of gaming, several lounges, ten restaurants including Gordon Ramsay Burger, KOI, Strip House, the award-winning Spice Market Buffet and LA’s Pink’s Hot Dogs, an intimate wedding chapel and the Planet Hollywood Spa by Mandara. Home to the first pop music residency in Las Vegas, Zappos Theater showcases resident headliners Jennifer Lopez, Lionel Richie, Pitbull and Backstreet Boys. The property is encircled by Miracle Mile Shops with more than 170 specialty stores and restaurants. For more information, please visit planethollywoodresort.com or the Caesars Entertainment Las Vegas media room. Find Planet Hollywood Resort & Casino on Facebook and follow on Twitter and Instagram. Established in 1999, Zappos.com has quickly become the leading destination in online apparel and footwear sales by striving to provide shoppers with the best possible service and selection. Zappos currently showcases millions of products from over 1,000 clothing and shoe brands. Zappos is also proud to be rated ELITE by STELLAService and was named a J.D. Power 2011 Customer Service Champion, one of only 40 companies so named in the U.S. More information about the customer service philosophy, unique culture and job openings can be found at www.zappos.com/about/press-kit. More information about Zappos Insights, and its business membership program can be found at zapposinsights.com. Zappos.com, Inc. is a subsidiary of (AMZN) Amazon.com, Inc.
Live Nation Entertainment (NYSE: LYV) is the world’s leading live entertainment company comprised of global market leaders: Ticketmaster, Live Nation & House of Blues Concerts, LN Media and Artist Nation Management. Live Nation Las Vegas produces residency shows from Jennifer Lopez, Lionel Richie, Backstreet Boys and Pitbull at Zappos Theater at Planet Hollywood Resort & Casino; Bruno Mars and Ricky Martin at the Park Theater at Monte Carlo; and Il Divo, Rascal Flatts, Styx & Don Felder, Chicago and Earth, Wind & Fire at The Venetian Las Vegas. Live Nation Las Vegas also brings other world-famous artists to many of the city’s other premier concert venues including T-Mobile Arena, Mandalay Bay Events Center, MGM Grand Garden Arena, Las Vegas Village, Pearl Concert Theater at the Palms, House of Blues, Downtown Las Vegas Events Center, The Joint at Hard Rock Hotel & Casino Las Vegas, and more. For additional information, visit www.livenation.com. Find Live Nation Las Vegas on Facebook, Instagram and follow us on Twitter.